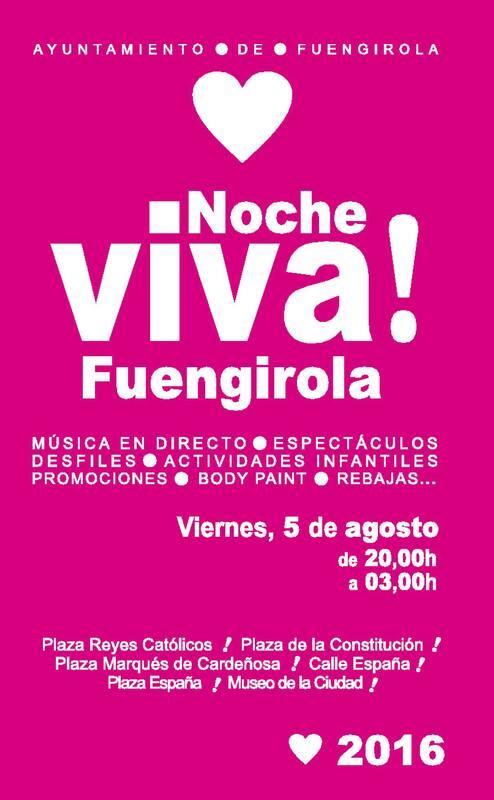 Tomorrow evening Fuengirola will celebrate the third edition of Noche Viva Fuengirola. It is a really special event which fills the city with life and happiness: live concerts and performances, children’s activities, food tastings, commercial offers and a catwalk show where 26 municipal brands take part of. Sita Murt is present again in a new edition of Noche Viva where more than 200 different establishments are involved in. Visit our store and discover the new Collection Freedom’s Mood Fall 2016 and also our Summer Sales while you enjoy Anna de Codorníu’s cava, an excellent Catalan sparkling drink. Don’t miss this unique night at the Costa del Sol, the best coast in south Spain! Sita Murt store: 1, España Street Fuengirola.